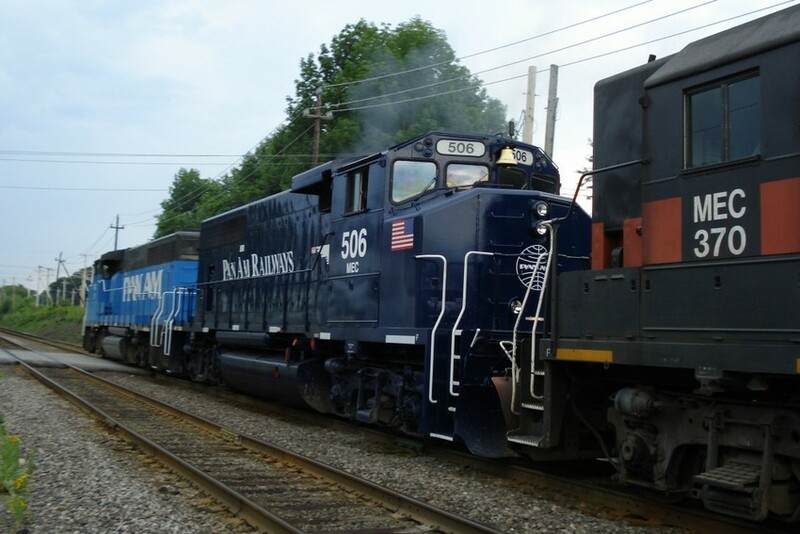 Heres a good shot of the 2 Pan Am paint jobs on WASE in Haverhill, MA. Check out that polished brass bell! Photographed by Wayne Johnson, July 2, 2008. Added to the photo archive by Wayne Johnson, July 2, 2008.